Some taxpayers erroneously believe the state of West Virginia will not make the effort to pursue their back taxes. As it may take some time for the state tax authority to process and send a notice, the taxpayer may be lulled into complacency. When the state finally addresses your tax liability, they will begin the collection process without delay. Don’t put yourself into a predicament. Start working with a tax debt resolution specialist to resolve all your tax problems. Speak to a Tax Expert about West Virginia Tax Debt Relief. Contact us now! What Happens When You Don’t Pay Federal & West Virginia State Tax? If you do not pay your back taxes on time, the West Virginia State Tax Department may impose a bank levy, wage garnishment, or tax lien against you. If you have a wage garnishment filed against you, it means that a part of your earnings will be legally seized by the IRS or state tax authority. On top of that, late payments may also cause additional penalties and interest charges to be added to your tax debt. Without swift remediation, the consequences will snowball over time. You may soon find it impossible to pay your back taxes in full. West Virginia tax relief specialists from Tax Defense Partners can kick-start the resolution process by making sure your tax bill is accurate. If it is not, we will help you amend the tax return or file a new one. Our tax attorneys will work with the government to correct the errors. If we discover that you are facing serious financial hardships and are unable to pay off your tax bill all at once, we can file an appeal to let you pay off the debt in smaller monthly installments. 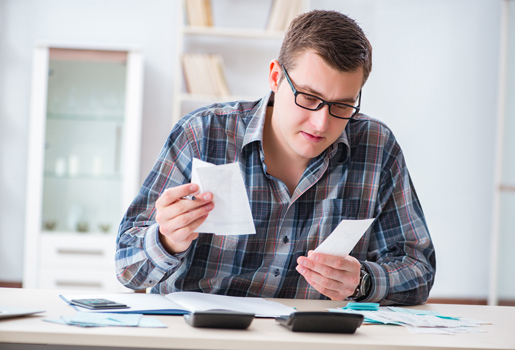 Why should I take my tax debt seriously? If you refuse to negotiate with the IRS for a tax debt relief solution, the mistake can result in devastating financial consequences. Your family members and you may face worsening financial problems in the months ahead. If you start dealing with the IRS tax issue in a proactive manner, you can avoid the pains of aggressive collection tactics. What is a penalty abatement letter used for? The letter is used to waive interest and penalty fees off one’s unpaid taxes. Valid conditions include a necessary relocation due to a recent natural disaster, receiving bad tax advice, living below the poverty line for family size, and more. Can I discharge my tax debt in bankruptcy? Yes, you can discharge it in bankruptcy if it meets specific eligibility requirements. However, a bankruptcy filing can cause long-lasting ramifications. It is pertinent that you discuss the pros and cons of their solution with your West Virginia tax attorney. Hire The Best Tax Debt Defense Team in West Virginia Today!